Everything we do grows out of strategies grounded in truth. Our dedication to wide open thinking™ drives results for our clients. Every point of contact between customer and organization has an impact. Our approach focuses on driving behaviors. From digital marketing that attracts new customers to social media strategies that elevate engagement, bold creative that breaks through the clutter, storytelling that builds advocacy or sales training that will energize your team, we help you meet your most pressing challenges. Getting where you want to go starts with knowing where you are. It’s easier to succeed when everyone works toward a common goal. Listening and learning changes more minds than megaphones and mallets. 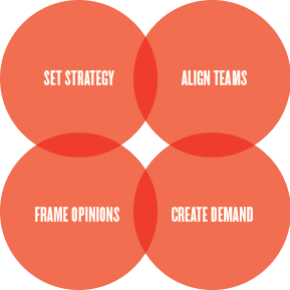 Effective product and brand conversations empower and motivate buyers. Stand in the middle of one of our offices, close your eyes and throw a paper clip in any direction. More than likely, you’ll hit an FLM Harvester who has personal connections to the farm and is passionate about preserving the land for future generations. We’re just as hungry as you are when it comes to communicating the value commodity boards and trade associations bring to the food industry. We also have an appetite for the latest, tastiest trends. We don’t just follow them. We inspire them. Pets are more than companion animals. They’re family. That’s what makes their nutrition and health so important. We help clients engage veterinarians, industry influencers and pet parents with custom strategies that speak to their unique needs. The rural lifestyle embodies the spirit of America. We’re always ready to roll up our camouflage sleeves, pull on some boots and take an ATV out for a spin. Discovery to delivery with dedication for each and every project. This unique and distinguished Board of Advisors meets in person on a regular basis and often with full board/ select client working strategy round table sessions to address specific client opportunities and challenges. Ted serves as the agency’s liaison to the Board of Advisors for FLM Harvest and chairs this unique group. 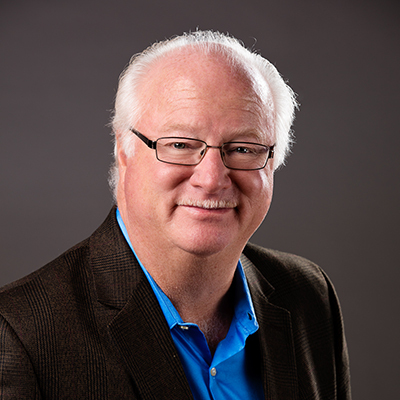 In addition, he is a FLM Harvest senior consultant specializing in collaborating with clients in strategic communications, branding, go to market and issues management development. 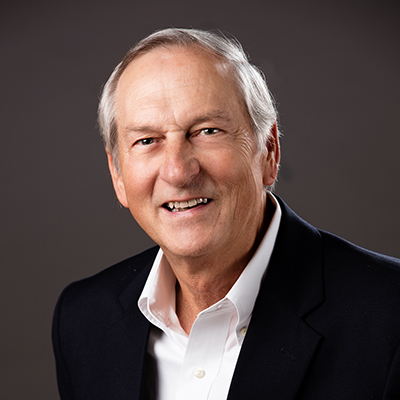 He has 35-plus years of experience working with such leading organizations as Pioneer Hi-Bred International, Hy-Vee Food Stores, Bayer, American Cyanamid (now BASF), Farm Credit, USDA, Abbott Laboratories, John Deere and IMC Global (now Mosaic). Ted was instrumental in building two of the country’s largest agricultural agencies and is well known in agricultural marketing circles. He has a passion for his alma mater, Purdue University, where he has served as the chairman of the board of Purdue Alumni, on the Dean’s Advisory Council and on the University Marketing Advisory Council. He continues to be a national volunteer leader for Alpha Gamma Rho fraternity. Ted lives in sunny Fort Lauderdale on the water and enjoys walking the beach at sunrise, sampling the latest foodie venues, taking a ride on a new roller coaster, traveling to just about anywhere anyone wants to go and cheering on his favorite sports teams, both professional and collegiate. Kirby has more than 45 years’ experience in education and research. He recently served as dean of the College of Agricultural and Life Sciences at the University of Florida. Prior to that, he held administrative positions at both the University of Illinois and The Ohio State University. Kirby helps FLM Harvest clients develop go-to-market strategies, build workforce development solutions and evaluate educational programs. He has authored or co-authored more than 125 articles and papers, delivered 150 invited papers, presentations and workshops, and served as principal investigator for more than $9 million in grants and contracts. He holds a Bachelor of Science, Master of Science and a Ph.D. from The Ohio State University. He and his wife, Susan, have two children and five grandchildren. Kirby enjoys gardening and volunteer work with his church, and has done some exciting international work in Egypt, Ghana, Saudi Arabia, Turkey and South Korea. Bill has a career’s worth of experience in food economics and public policy. He most recently served as senior vice president and officer of The Kroger Co. Prior to that, he was a senior economist for food and agriculture for the President’s Council of Economic Advisers, and senior economist and research manager for the U.S. Department of Agriculture. He also has been assistant professor of agricultural economics at Virginia Tech. Bill works with FLM Harvest clients on strategic planning and economic forecasting as well as linking all elements of the food chain. 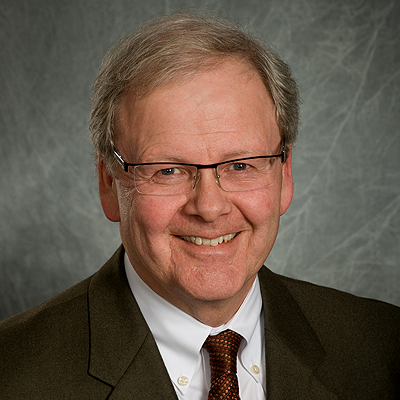 Bill has authored and published a number of professional papers and co-authored several textbooks in the general area of food economics and public policy. He holds a bachelor’s degree from the University of Wisconsin-River Falls and received his M.S. and Ph.D. from Purdue University. Bill and his wife, Debbie, have two adult sons and four grandkids. Bill and Debbie are avid sailors and “live aboard” in the summer months exploring one of the Great Lakes, traveling over 5,000 nautical miles in the process. 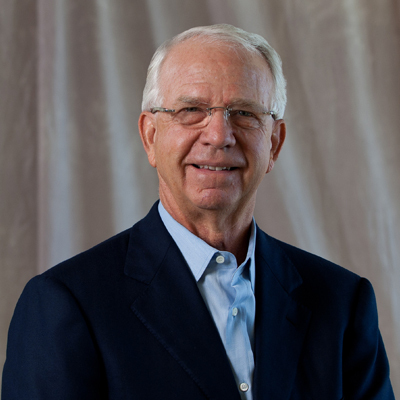 Bill had held numerous leadership positions with Alpha Gamma Rho fraternity and currently serves on the AGR Foundation board of directors in addition to serving on the boards of American Farmland Trust, a food manufacturing company, and a firm dedicated to food safety and animal health. He and Debbie live on a bluff overlooking Lake Michigan on the Wisconsin coastline. Charlie Fischer passed away on Sept. 24, 2017. Charlie was a beloved friend, honored global agriculture leader and valued Board of Advisor member for FLM Harvest. His impact on feeding a hungry planet, nurturing FFA youth and driving agricultural innovation set an example for us all. Our thoughts and prayers go out to Charlie’s family at this difficult time. Charles Fischer most recently served as chairman of the Dow AgroSciences Members Committee and is the former president and CEO of Dow AgroSciences. Before that, he served as global leader of Agricultural Chemicals and Urban Pests at Dow. He held a leadership role for the Central Indiana Life Sciences Initiative and was a board member of the Biotechnology Industry Organization. Charles was the first person to serve as president of both CropLife International and CropLife America. He was named the 2002 Agribusiness Leader of the Year by the National Agri-Marketing Association and is a past chairman of the National FFA Foundation. Charles brings a unique international perspective and understanding of agricultural input marketing to FLM Harvest clients. Charles is a graduate of Texas A&M University. Gahm retired from FLM+ and is the first former employee selected to the Board of Advisors. He joined FLM+ in 2010 as one of the company’s first employees and helped establish the Minneapolis office. He also served as the public relations lead for all FLM+ clients and helped launch the company’s Washington, D.C., office, where he served as head of FLM+ Public Affairs. Tom began his agricultural communications career with USDA in 1974 and has worked with several communications agencies in Minnesota and Iowa, including Miller Meester, Foley Sackett, Meyocks & Priebe, the Integer Group and Adayana, and has corporate experience with the Farm Credit System, U.S. Bank and Syngenta. He and his wife, Marilyn, recently remodeled their lake cabin in northwest Wisconsin into their retirement home and now live year-round in the north woods. Tom enjoys everything outdoors, including, fishing, boating, hiking, snowmobiling and cross-country skiing. He also works as a volunteer for the regional hospice program in Spooner, Wis., and assists with FLM Harvest public relations and branding projects. Tom and Marilyn have two adult children and four grandchildren. He is a St. Paul, Minn., native and has a journalism degree from the University of Minnesota. Gregg Halverson is president and chairman of the board of Black Gold Farms, a family owned potato growing and marketing organization headquartered in Grand Forks, N.D. Black Gold Farms specializes in potato production with 11 U.S. production locations spread from North Dakota to Texas in the Midwest and Florida to Maryland on the eastern seaboard. Black Gold Farms grows over 25,000 acres of potatoes plus various other crops. Halverson grew up on a family farm in North Dakota. He graduated from Midway High School near Forest River, North Dakota in 1967 and North Dakota State University of Fargo, N.D. in 1971 with a degree in agriculture. Gregg has three children, all of whom work for Black Gold Farms, and eight granddaughters. Halverson enjoys traveling with his wife, Yvonne, spending time with his granddaughters, tailgating at NDSU football and adding to his extensive collection of antique potato chip cans, purportedly the world’s largest single collection, which consists of more than 1,000 individual potato chip cans. Dr. Michelle Haven has been working in the animal health industry for over 20 years. Most recently, she was the senior vice president of corporate development, strategic alliances and solutions at Zoetis, formerly Pfizer Animal Health. She spent the 10 previous years as their global head of research. As a research fellow at Merck Animal Health, she led early research programs that were progressed to three animal health products. Dr. Haven holds an undergraduate degree in animal science and doctorate in veterinary medicine from the University of Illinois, and a Ph.D. in physiology from North Carolina State University. Following completion of a large animal internship at University of Missouri and three-year residency in surgery at North Carolina State University, Dr. Haven obtained specialty board certification from the American College of Veterinary Surgeons (ACVS). She served as a member of the board of trustees for the ACVS Foundation from 2007-2013 and also served as a member of the ACVS Research Committee. Michelle retired from Zoetis in March of this year. She plans to spend her time focusing on select projects aligned with her passion to impact global animal health. She is also dedicating more time to family and friends, enjoys riding and training her four horses, and spending time with her dog, Edge, and cats, Boney James and Dakota. 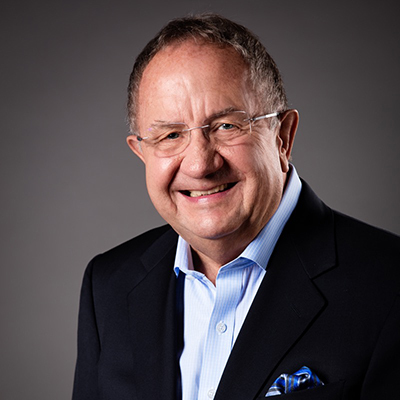 Al brings more than 40 years of experience and expertise in agricultural publishing, public affairs and government service to FLM Harvest’s Board of Advisors. Most recently, he was deputy undersecretary for rural development for the U.S. Department of Agriculture, and before that he was the director of legislative and public affairs at USDA. 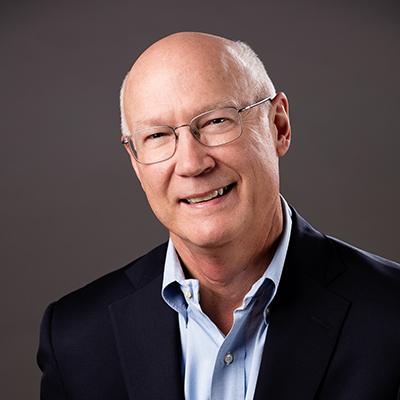 Known for his leadership and innovation in agricultural publishing as president of Farm Progress Companies, Al brings his publishing knowledge, strategic planning skills and governmental understanding to FLM Harvest’s clients. He continues to provide strategic consultation to governmental and non-governmental organizations and serves as the vice president, marketing director for Agri-Pulse Communications Inc., a leading ag and rural policy communications company. Al still owns the ranch he grew up on in western North Dakota and is a loyal fan of his alma mater, the North Dakota State University Bison. Al and his wife, Sara, enjoy entertaining family and friends at their home on Lake of the Ozarks in the summer, but their interests shift to sailing during the winter months when they work from Coronado, Calif.
Randy Marten is the owner and principal of Food Ingredient Advisors, a consulting company providing risk management and strategic advice to the food processing industry. He retired after a 43-year career in the agricultural industry. 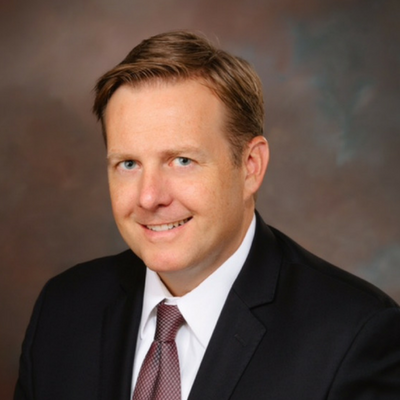 For the past 19 years, Marten served as executive vice president and COO of with Miller Milling Company, a private, Minneapolis-based flour milling company. Marten’s career also included time with Ralston Purina, Consolidated Grain and Barge and Campbell Taggart Baking, an Anheuser-Busch company. 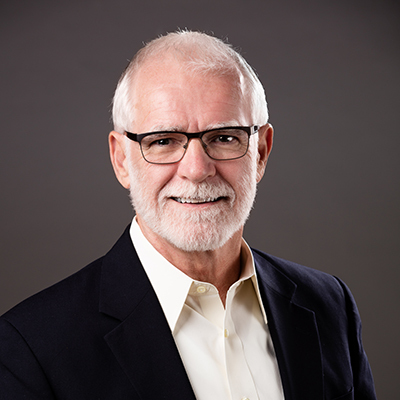 He has served on many agricultural boards, including the National Wheat Foundation board of directors, Minneapolis Grain Exchange board, USDA Federal Grain Inspection Service Advisory Board, Wheat Quality Council and the American Bakers Association Commodity Task Force. He has also served on the University of Illinois Alumni Association board of directors and the national board of Alpha Gamma Rho fraternity. Marten grew up on a family farm in central Illinois and manages the operation with his father. He received a degree in agricultural science from the University of Illinois. He is an avid golfer and road bike cyclist, logging as many as 2,000 miles in some years. He and his wife, Bobbi, split their time between St. Louis and Dallas. They have a daughter, Joanna, who resides in Seattle and works for Amazon. The Martens enjoy cruising and have traveled to many exotic destinations around the world over the years. Jeff Nawn is the former global grain trade and biotech affairs lead at Corteva Agriscience. In this role, he was responsible for managing the company’s strategic partnerships with international grain handlers, as well as directing its biotech advocacy efforts in Asia and Latin America. Prior to joining the company in 2012, Jeff spent a decade with the USDA’s Foreign Agricultural Service. From 2009-2012, he was the senior agricultural attaché at the U.S. Embassy in Tokyo, Japan, where he was responsible for diverse agricultural trade policy and market access issues, including the 2012 renegotiation of the American beef access agreement with Japan. Jeff earned his Bachelor of Arts in English and political science from Marquette University and a Master of Science in agricultural and applied economics from The Ohio State University. He holds leadership positions in several ag organizations, including the chair of the BIO China Task Force and chair of the U.S. Grains Council Trade Policy Committee. Danita Rodibaugh plays a leadership role in Rodibaugh & Sons, a family farm corporation focused on grain and purebred swine production. Most recently, she was chairman of the board of the U.S. Meat Export Federation (USMEF) and formerly was president of the National Pork Board (NPB). 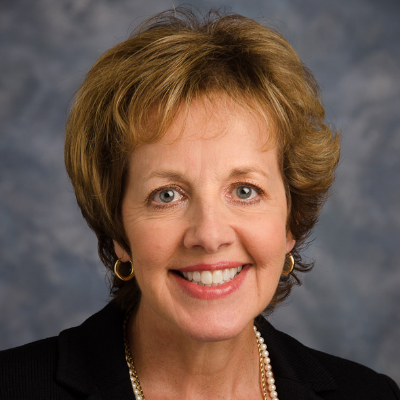 She has served on the USMEF Executive Committee, the NPB Trade Committee, Pork Quality, Safety and Human Nutrition Committee, and the Environment Committee, and is a past board of director’s member of the National Pork Producers Council and Indiana Pork. In addition to getting her B.S. in consumer and family sciences/education at Purdue, her involvement currently includes serving on the Farm Policy Study Group and Agriculture Alumni Trust Fund Board. She formerly served on the Dean’s Advisory Committee and the Animal Science Advisory Committee. Danita served on Indiana’s Commission for Agriculture and the State Department of Agriculture Advisory Committee. Danita and her husband, Dave, have four children and eight grandchildren. She and Dave are active in their church, and she serves as a church trustee. Her closet is full of black and gold, and they know the road well down to West Lafayette to enjoy their football, basketball and volleyball season tickets. Time with grandchildren is precious as well as her continuing commitment to volunteering for leading ag organizations. 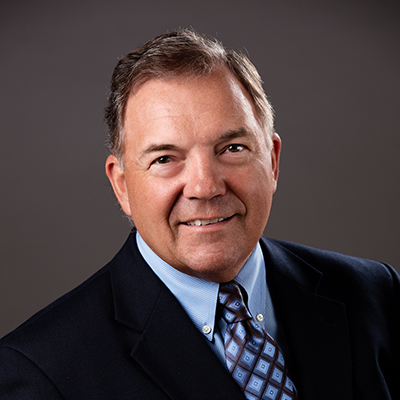 Rod Schroeder is formerly the executive vice president and COO leading the crop protection business of WinField Solutions LLC, a Land O’Lakes, Inc. company. Prior to that, Rod was vice president of Agriliance LLC where he led the Heartland Business Unit. Rod began his ag career at Aurora Cooperative in Aurora, Neb., as controller and led the cooperative as its CEO for 18 years. 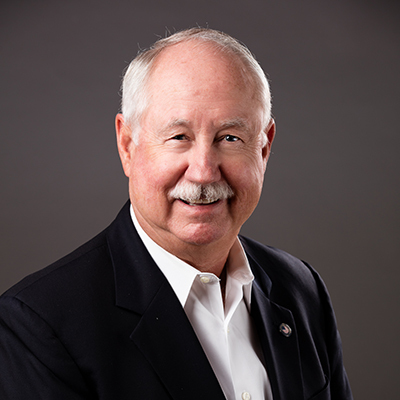 He is nationally recognized for his ag retail successes and has served on numerous boards including CropLife America, The Fertilizer Institute, Nebraska Energy Cooperative, Farmers Commodities Corporation and the Agricultural Retailers Association. He grew up on a diversified Nebraska farm and is a graduate of Lincoln School of Commerce. Rod and his wife, Mary, reside in Ashland, Neb. They have four adult children and four grandchildren. During his retirement, Rod enjoys staying involved with agriculture through his positions on several ag-related boards. Rod and Mary also enjoy golfing, socializing with friends, being with family, volunteering and spending part of the winter months in Arizona. 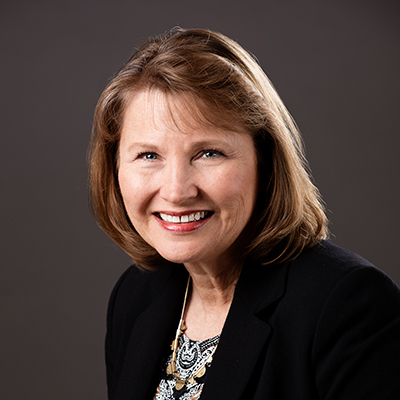 Marianne Smith Edge, MS, RD, LD, FADA, FAND, offers more than 30 years of experience as a nutrition communicator, strategic planner and facilitator. She is a former senior vice president for food safety and nutrition communications at the International Food Information Council and Foundation in Washington, D.C. 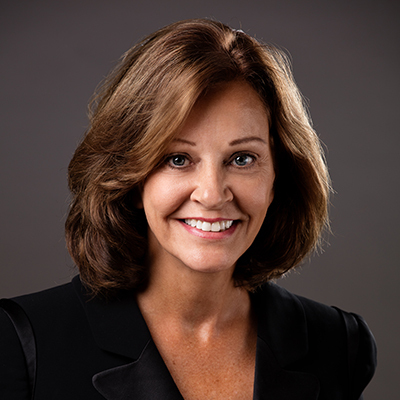 In addition, she is a past president of the Academy of Nutrition and Dietetics, and previously owned MSE and Associates, LLC, providing strategic consulting services to the food and health care industries. A sixth-generation farm owner, Smith Edge is currently the principal at The Agri-Nutrition Edge, a consulting and research practice helping food and agriculture companies improve dialogue within their industries and with consumers. She is a member of the Institute for Food Technologists and the American Society for Nutrition. She currently serves on the editorial board of Nutrition Today and has completed two terms on the USDA’s National Research, Extension, Education and Economics Advisory Board, the advisory board to the secretary of agriculture. Smith Edge holds a Bachelor of Science degree in dietetics from the University of Kentucky where she was a member of the board of trustees (2000-06), and a master’s degree in public health nutrition from Western Kentucky University. 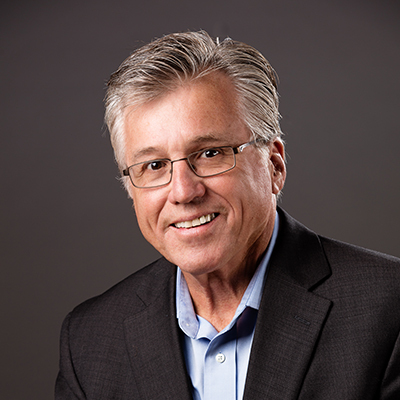 Jay Vroom has served as president and chief executive officer of the trade association known as CropLife America (CLA) since 1989 and has been a leader in U.S. agribusiness trade associations for his entire career. In addition, he has served as chairman of the CropLife Foundation since its inception in 2001. In his current role with CLA, Vroom heads the leading U.S. trade group for the crop protection industry in the U.S. CLA is primarily involved in issue management and advocacy for the industry and its agricultural allies. CLA performs federal and state lobbying, science and regulatory advocacy, and proactive litigation work on behalf of its members. Its principal issues revolve around articulating the benefits of crop technology in enhancing food, fiber and renewable fuel production; and advocating for clear, sciencebased regulations, which ensure the safe and effective use of crop protection tools. Through its membership in the Brusselsbased global federation CropLife International (CLI), the CLA is a strong voice in many international venues on issues critical to the plant science industry. Vroom also sits as a senior member of CLI’s Crop Protection Steering Council. He also sits on the Board of Directors for The Friends of the National Arboretum, an independent, non-profit organization established to enhance the National Arboretum. Based in Washington, D.C., CLA has a principal staff of nearly 30 professionals. CLA operates with several affiliated organizations including CropLife Foundation, of which Vroom serves as board chairman; CropLife Political Action Committee, of which he serves as treasurer; and RISE (Responsible Industry for a Sound Environment), a parallel organization to CLA which addresses issues pertinent to the nonagricultural uses of public health protection products and fertilizers. Prior to joining the CropLife staff, Vroom has various positions in executive capacities with the National Fertilizer Solutions Association, the Merchants Exchange of St. Louis and The Fertilizer Institute. He graduated with honors from the University of Illinois College of Agriculture. Vroom was raised on a grain and livestock farm in north-central Illinois and continues to own the farming operation.